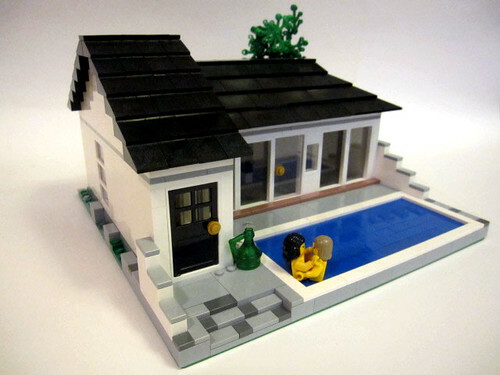 Brick Town Talk: Dirty Pool - LEGO Town, Architecture, Building Tips, Inspiration Ideas, and more! Far From Prying Eyes - (BTT) This lovely little vacation home has all the necessities, as well as a few luxuries. Although simply detailed, the large windows let in tons of light and open up onto a pool terrace, making it easy to go and take a (skinny) dip.